NuPrints School of Art was founded in 2003 by Ortansa Moraru. The school offers courses for kids and adults all year long. Nuprints studio is equipped with three etching presses: a Speedball, a Jack Richeson&Co. Inc. baby press and a Praga press. With professional instructors, classes limited to 5-6 students and an online gallery, the NuPrints School of Art is the ideal place for everyone with a genuine interest in visual arts. The portfolio development workshop is conducted based on each participant’s interest. This workshop is not only dynamic but also rewarding and highly motivating. Our instructors will provide professional guidance designed to empower each student to achieve the desired skill level. Every student will be able to develop a consistent body of work to be presented for admission to any college and university program. Since 2007 I have been working with prominent Canadian artists as a custom printer. In 2008 I have been the Master Printer of the Ink Bonds Project at the Headbones Gallery, Rich Fog Publishing House, Toronto. 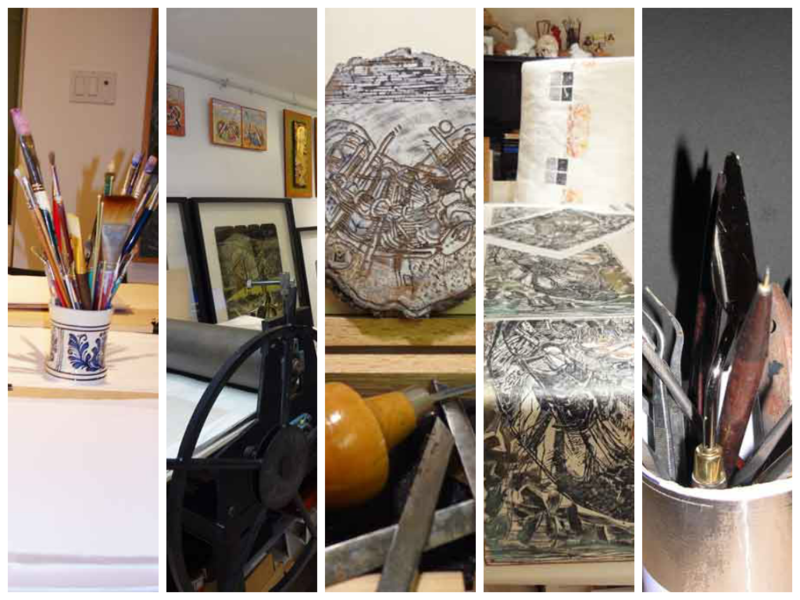 I have also printed editions in etching, dry point and woodcut for many of my artist friends. Are you an artist interested in transferring one or more of your works on a zinc plate or wood block and have printed a limited edition? Please contact us if you would like to learn more about custom printing at the NUPRINTS studio.